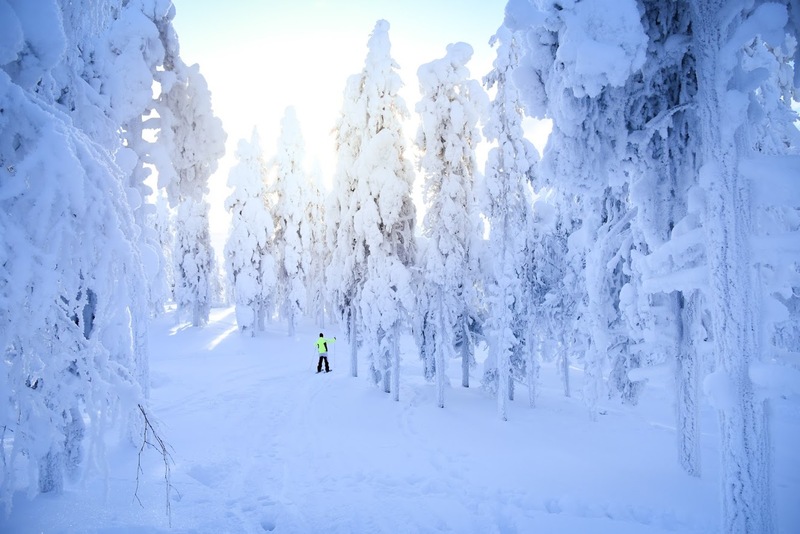 Many people travel to Lapland in wintertime. 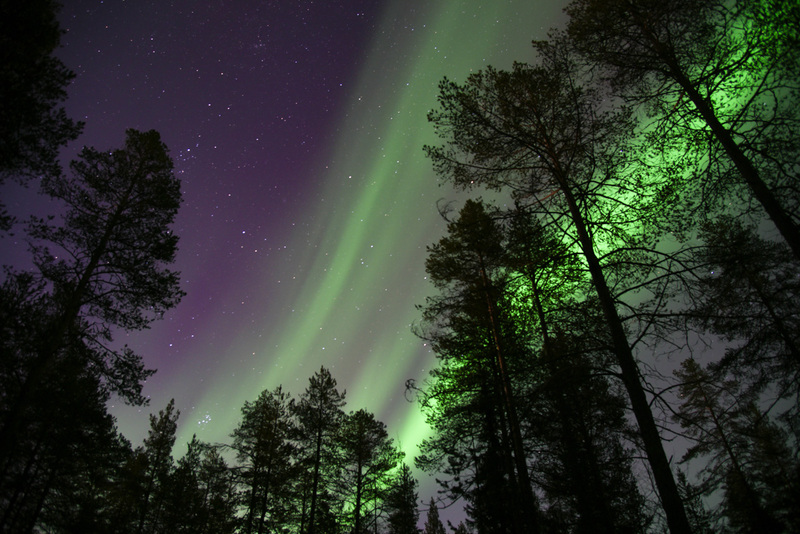 However, autumn in Lapland is absolutely magical as well. 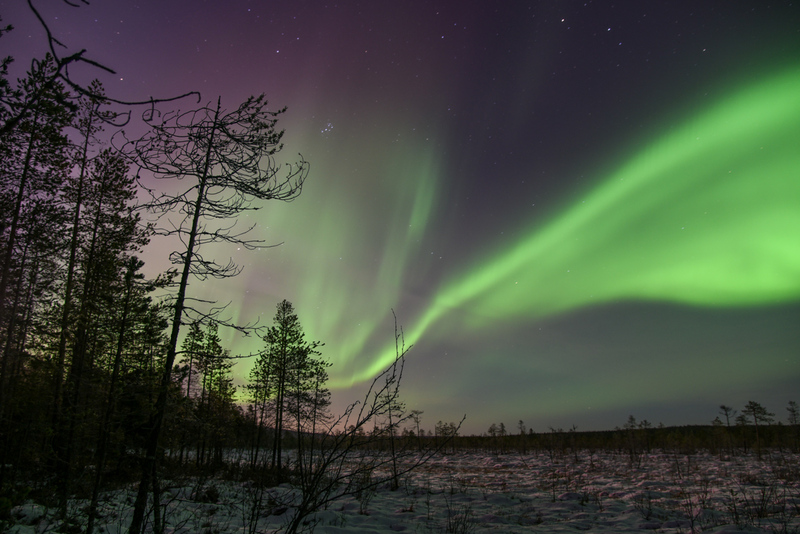 Check out these 10 photos to find out, why You should visit Lapland in Septemper, October or November! 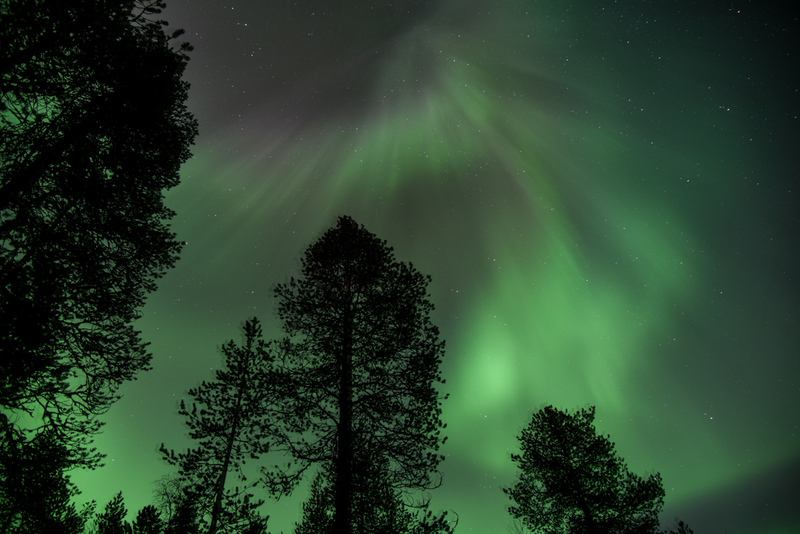 First auroras can often be seen in September or even in August. 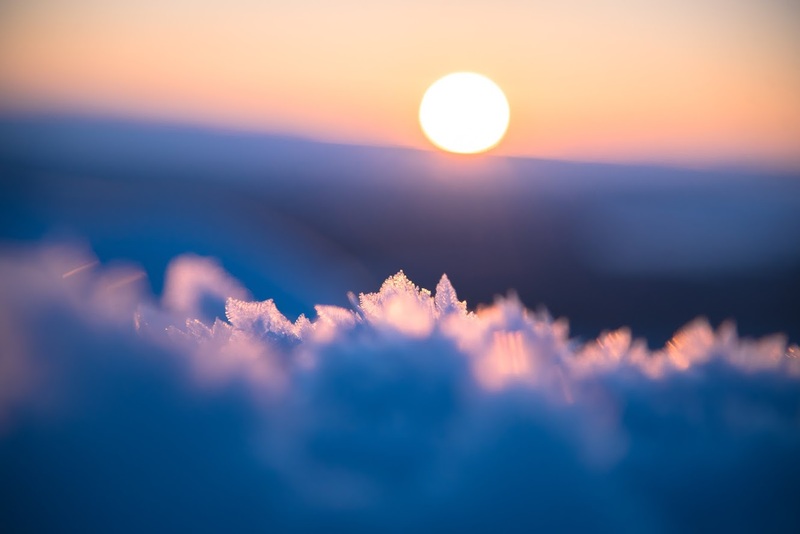 Unlike in winter, it’s still quite warm compared to winter temperatures, so one can admire this beautiful phenomenon without getting too cold. The most beautiful colors are usually seen in September. In autumn the air seems to be full of oxygen. 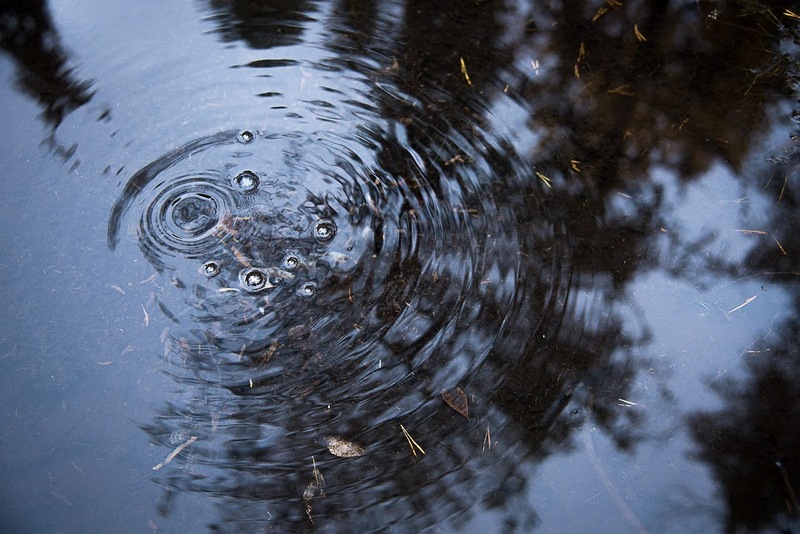 It is cleaner than you could ever imagine – just take a breath and you’ll notice it instantly. 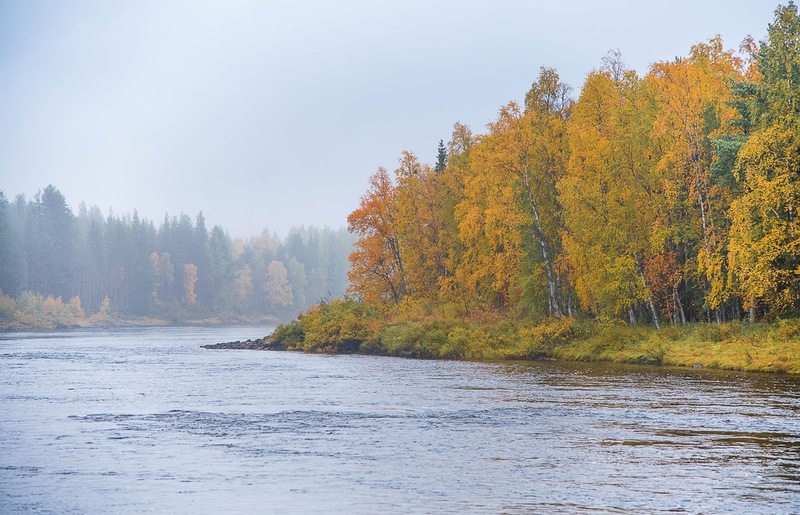 In winter everything is frozen, but in autumn you can still enjoy watching and listening the rivers rumbling. 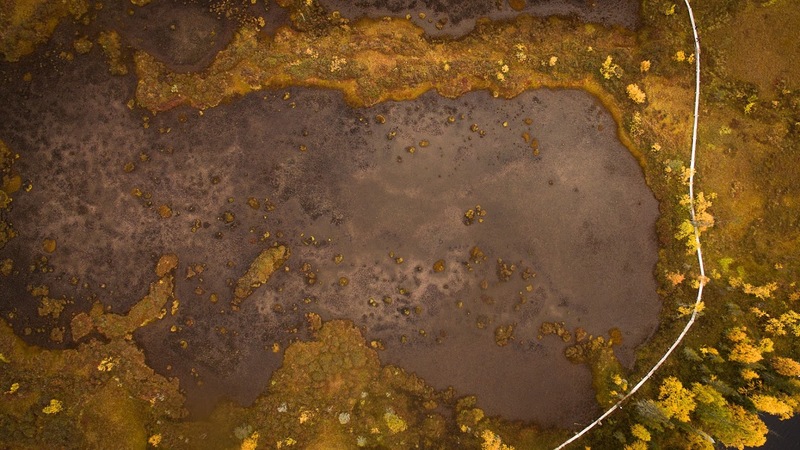 Maybe you’ll even find a spring and taste how cold and pure the water is? 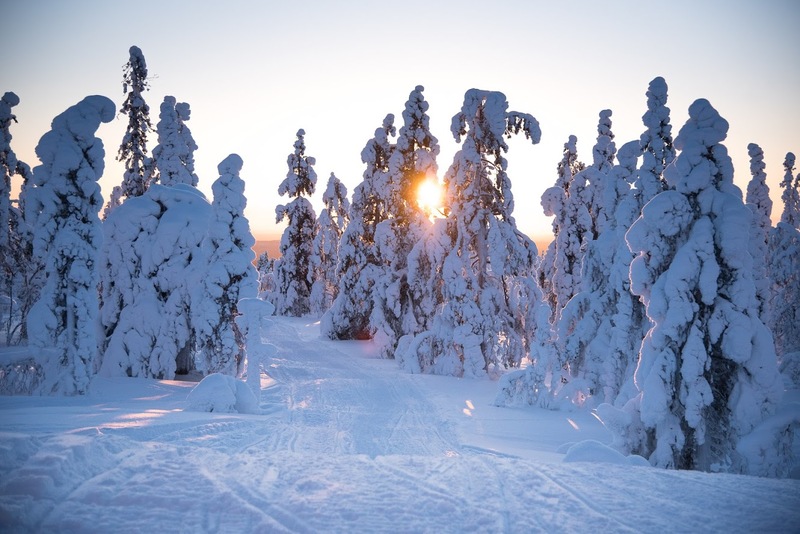 Big fish, tasty mushrooms and berries full of vitamins – Lapland has it all. 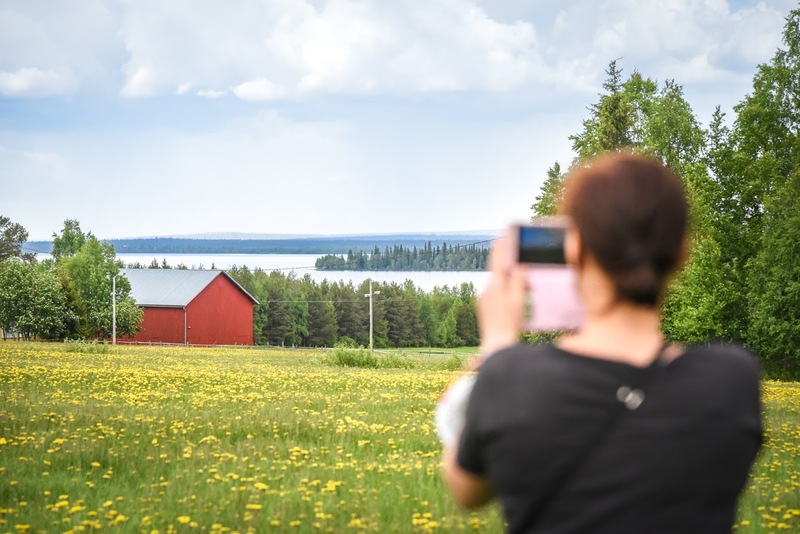 Did you know that thanks to Finnish everyman’s rights, you can pick mushrooms and berries in the nature without asking for permissions? These are one of the best moments of the year! Now you can really see and feel the first steps of the upcoming winter. 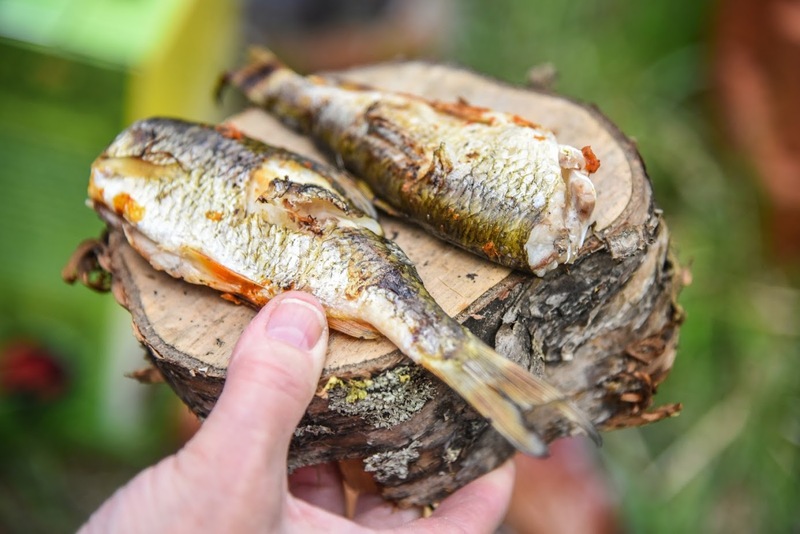 How about some Lappish honey, fish products or jewellery? 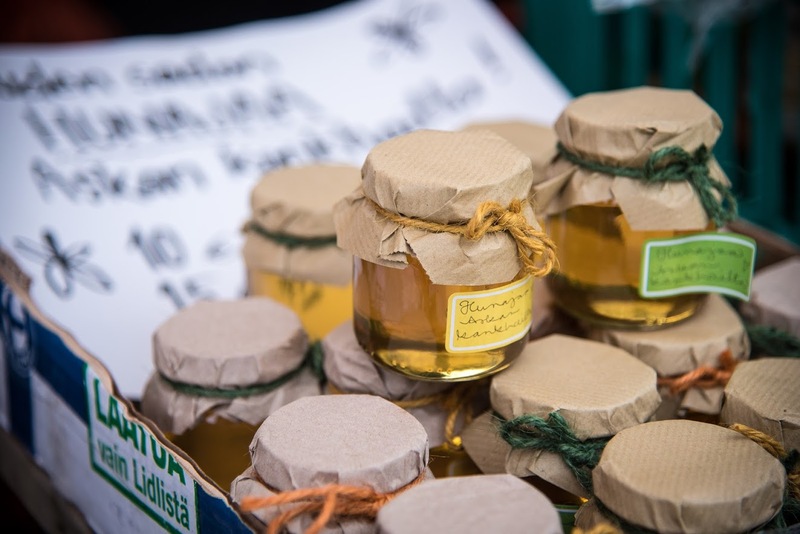 You can buy some really cool things in local harvest markets. 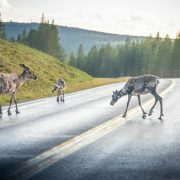 In Lapland there are several national parks and lots of other really cool nature destinations with well-marked trails and good campfire spots. You’ll find many of them here. 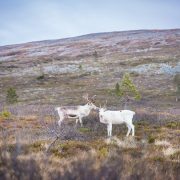 In autumn it seems like there are reindeer everywhere. 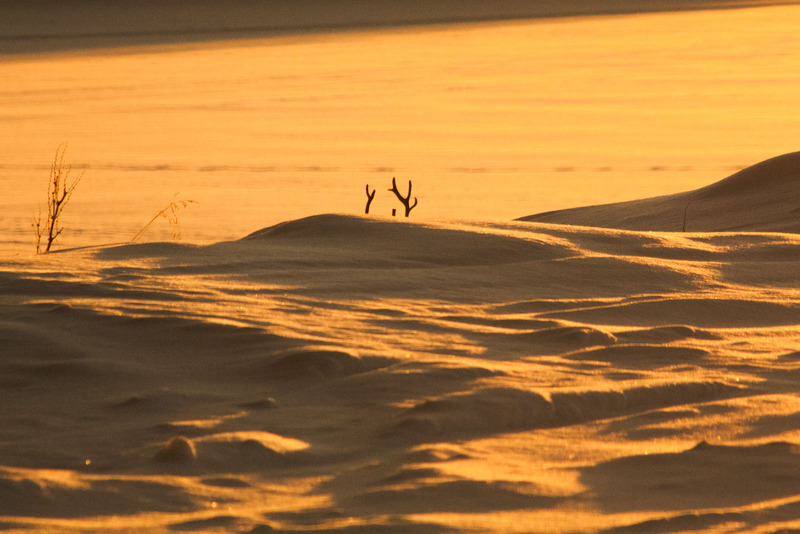 Just make sure you don’t got too close, as reindeer stags can get a bit unpredictable this time of the year. 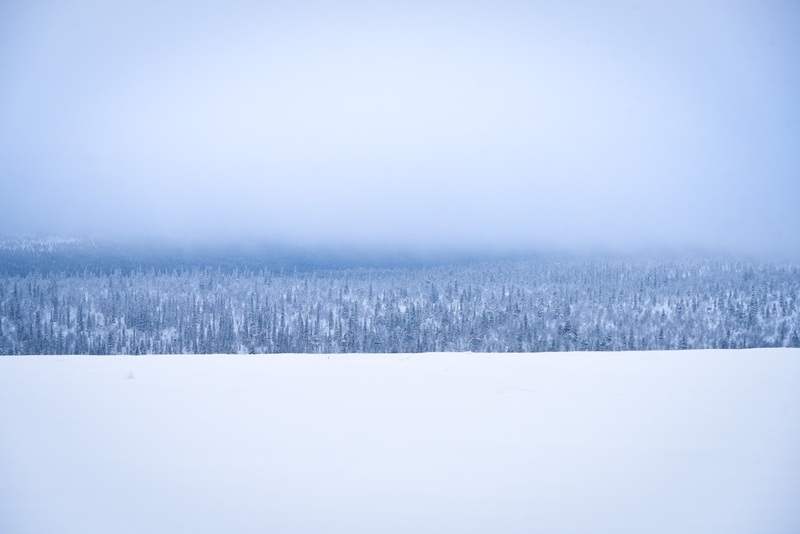 In autumn there are not many tourists in Lapland. Wanna know what perfect silence sounds like? 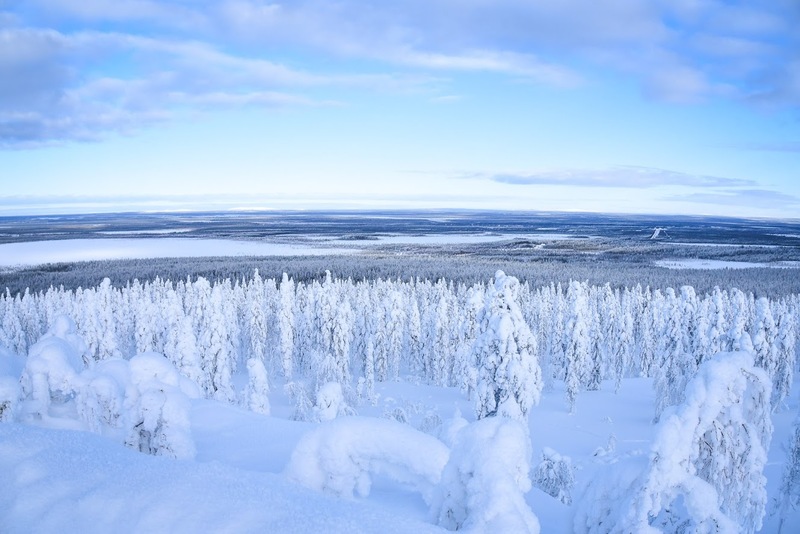 Beautiful white & blue views from the top of Kommatti hill – this is Finnish winter at its best! 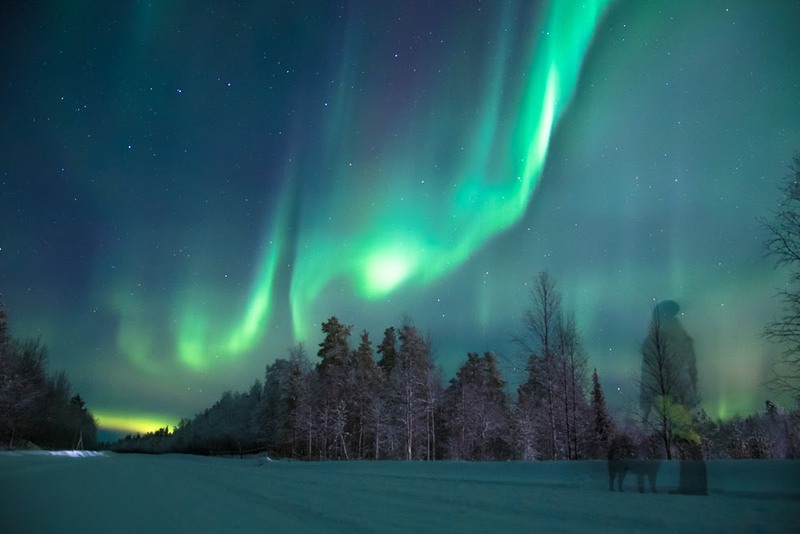 The polar night felt endless this year. So now that the sun is back, I need to get out and enjoy some bright sunlight! Near my home there’s a hill called Kommattivaara (map link). 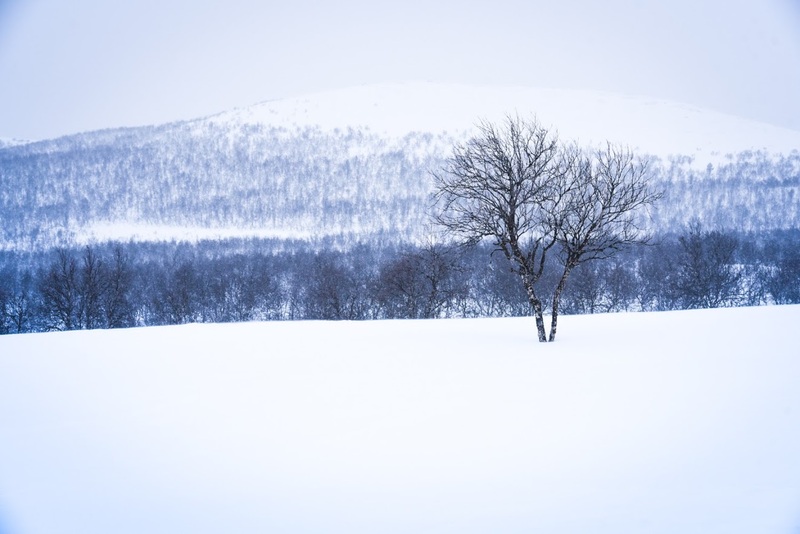 It’s easy to reach by car, so it’s a great destination for a little winter trip. It was quite chilly when we visited Kommatti about a week ago. Maybe -20 degrees Celcius. I loved it. 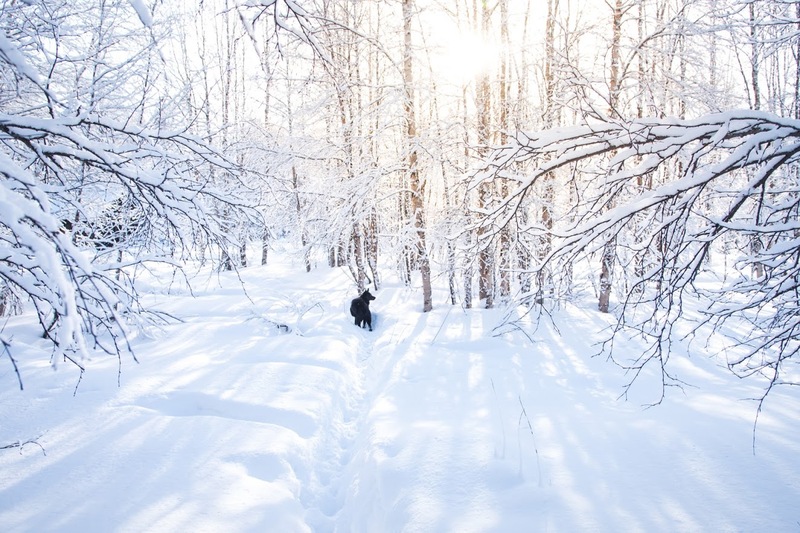 Lots of snow, lots of sunshine and lots of tranquility. And no mosquitos! Kommatti is not a huge tourist attraction. 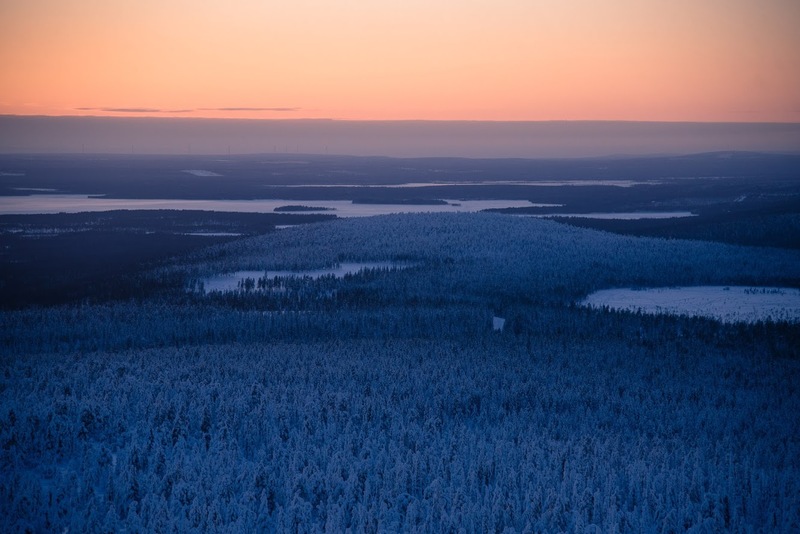 Here you can actually hear and feel the peace and nature of true Lapland. We didn’t go to the ski slope because that would be dangerous. Fast skiers and slow snowshoers are not a good combination. So we chose a quiet path in the forest next to the ski slope. 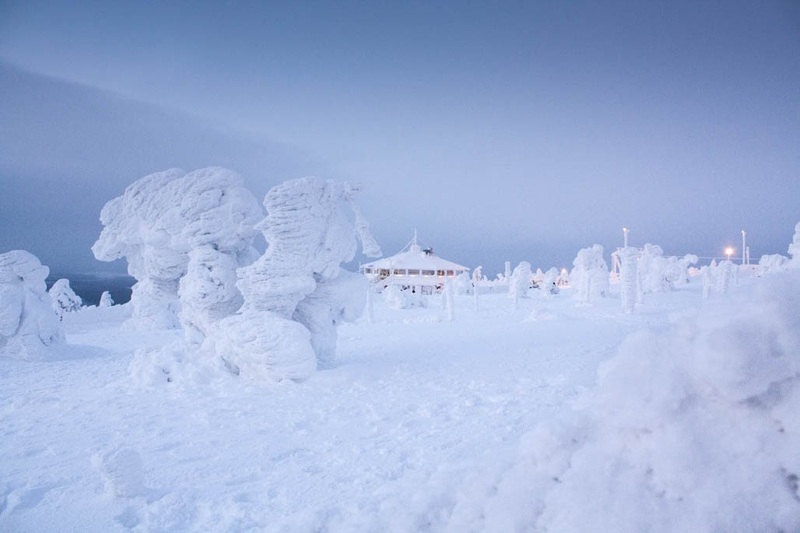 Kommatti is right next to Sodankylä village in the middle of Lapland. There is a small skiing center downhill, where you can rent some gear and grab a cup of coffee before heading uphill to these magnificent views. 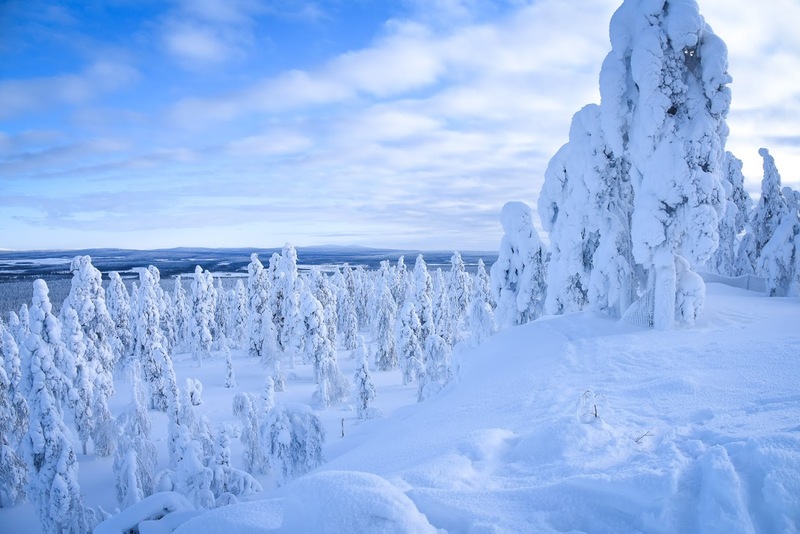 Even though the hike to the top is not very long – less than a kilometer – make sure you have proper winter clothes, a map and enough drinking water with you. Also, as the snow is very deep, snowshoes come in very handy. 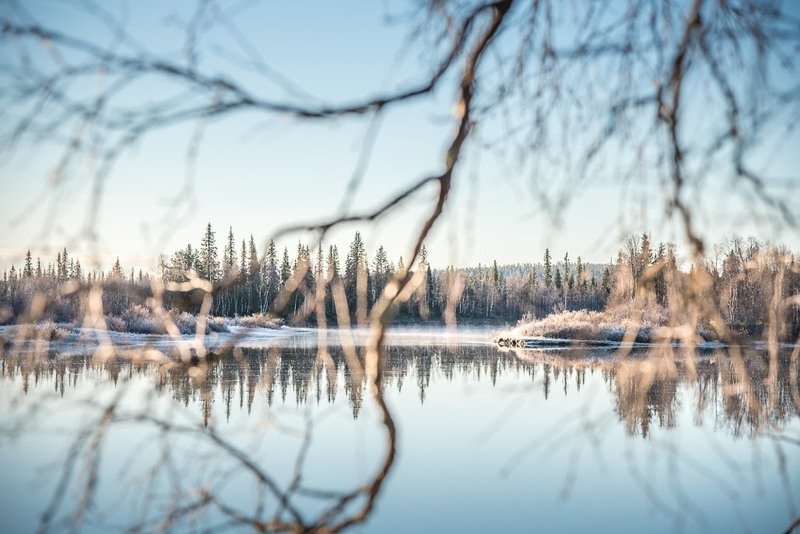 Without snowshoes you’ll soon be swimming in snow, and it’s practically impossible to get forward if you leave the trail. 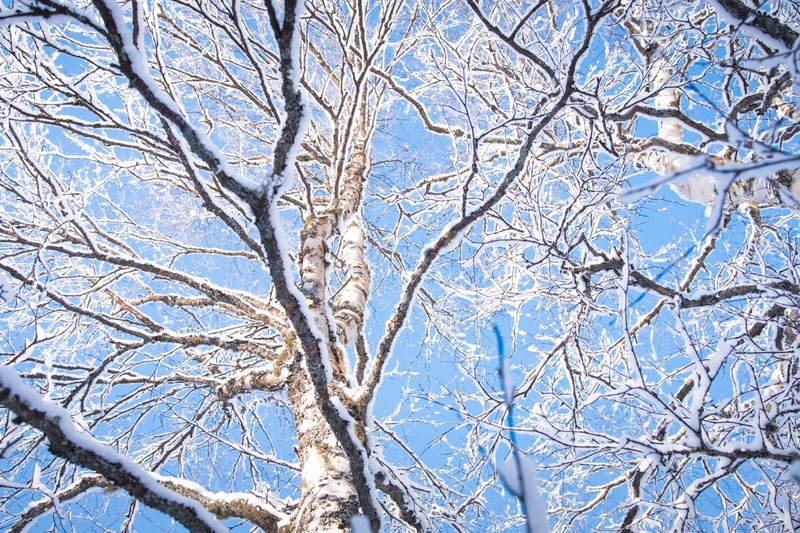 Lots of snow and sunshine! 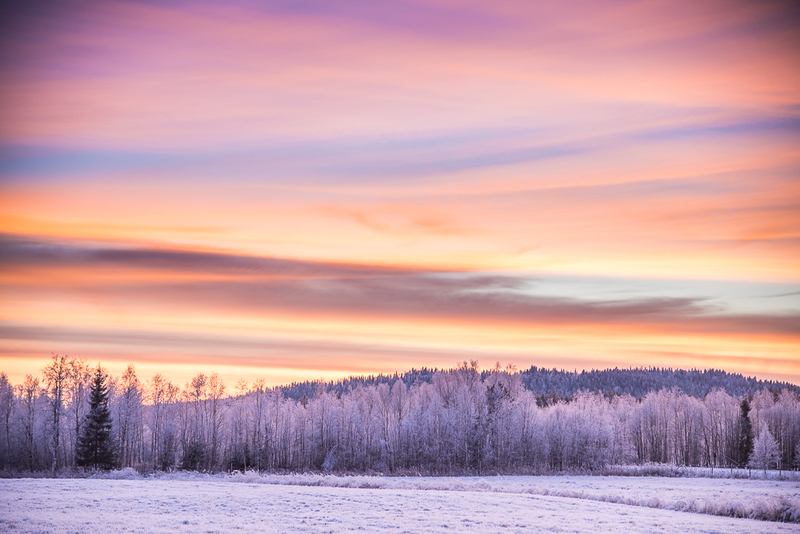 This is Finnish winter at its best. 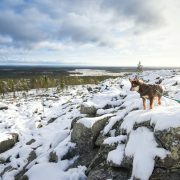 https://finlandnaturally.com/wp-content/uploads/2018/02/kommatti.jpg 948 1420 Jonna Saari https://finlandnaturally.com/wp-content/uploads/2016/08/finlandnaturally-logo.png Jonna Saari2018-02-23 13:35:152018-11-08 12:20:56Beautiful white & blue views from the top of Kommatti hill – this is Finnish winter at its best! 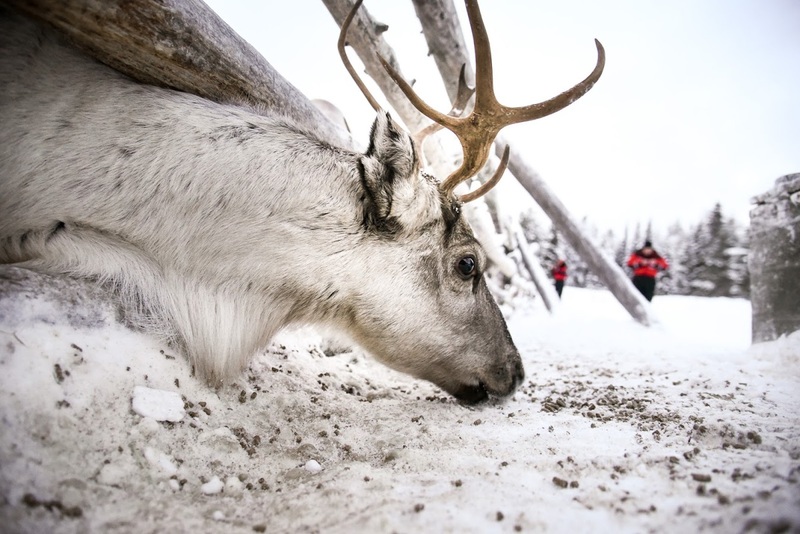 In Northern Finland there are several reindeer parks where one can meet and feed some super cute domesticated reindeer. 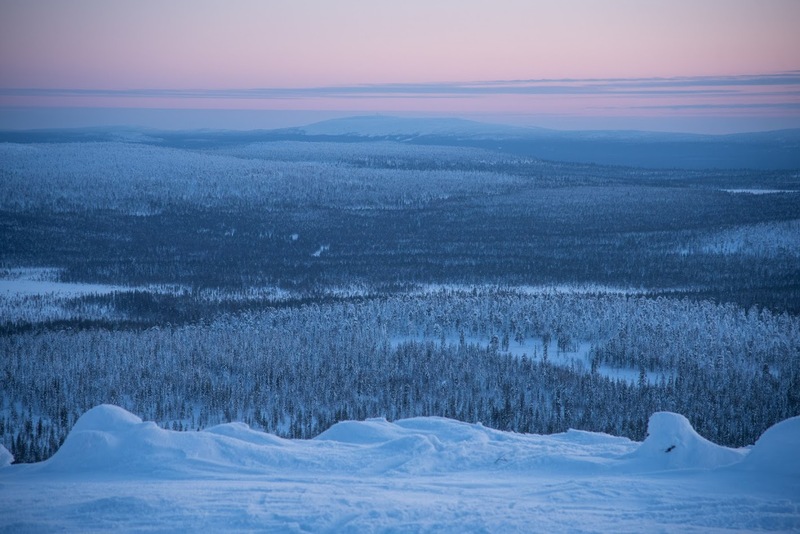 One of these parks, a reindeer park called Kopara, is situated in Luosto area in the middle of Lapland. One day I went there with my husband and his daughter. 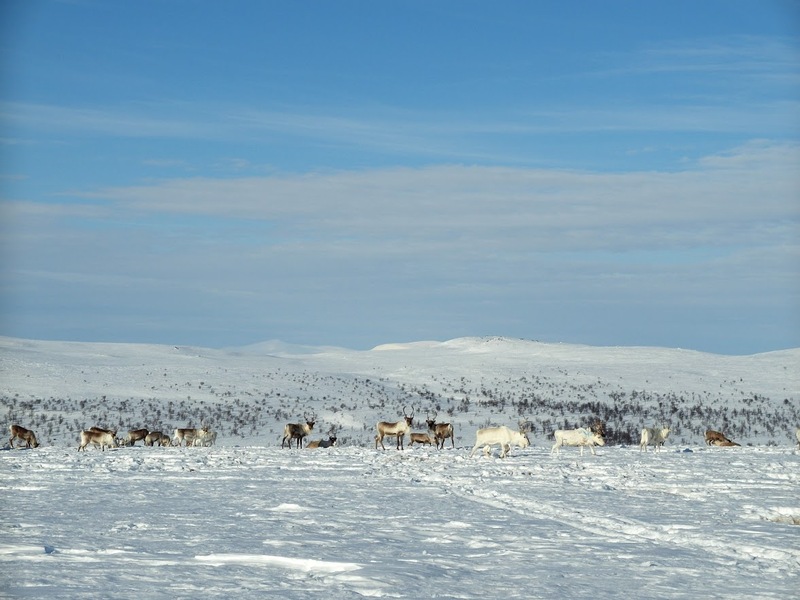 I must confess, I’m crazy about reindeer. I was much more excited about meeting these animals than the six-year-old was. 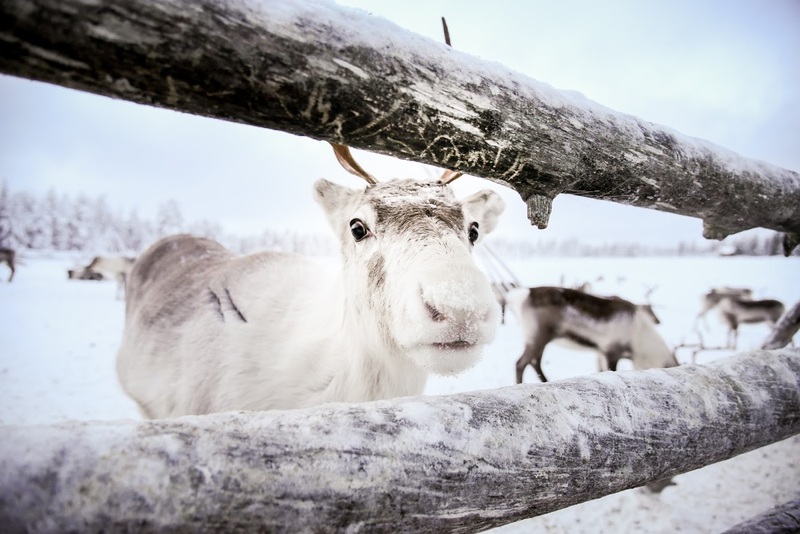 She is born and raised in Lapland, so to her reindeer are not that exotic. 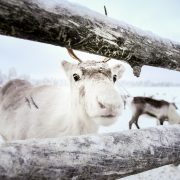 I, however, come from Southern Finland, where there are no reindeer whatsoever. 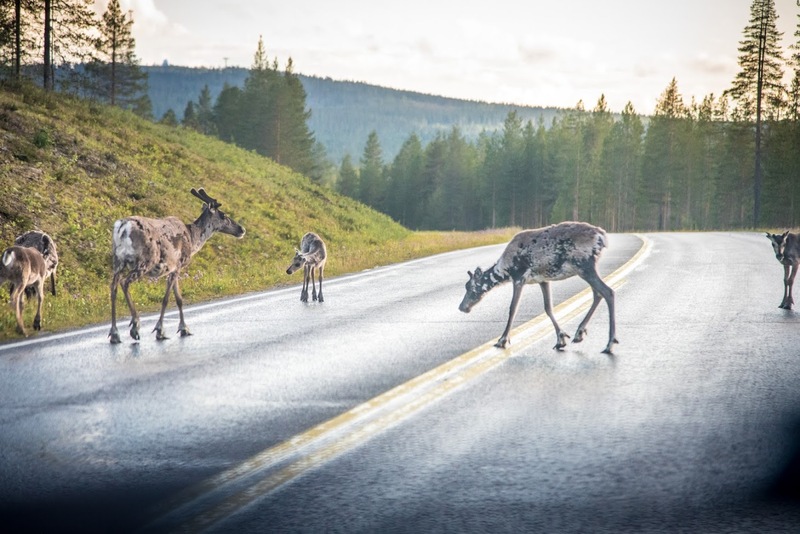 In Lapland you can see reindeer herds roaming free practically anywhere. Those animals are quite shy: they are only semi-domestic. 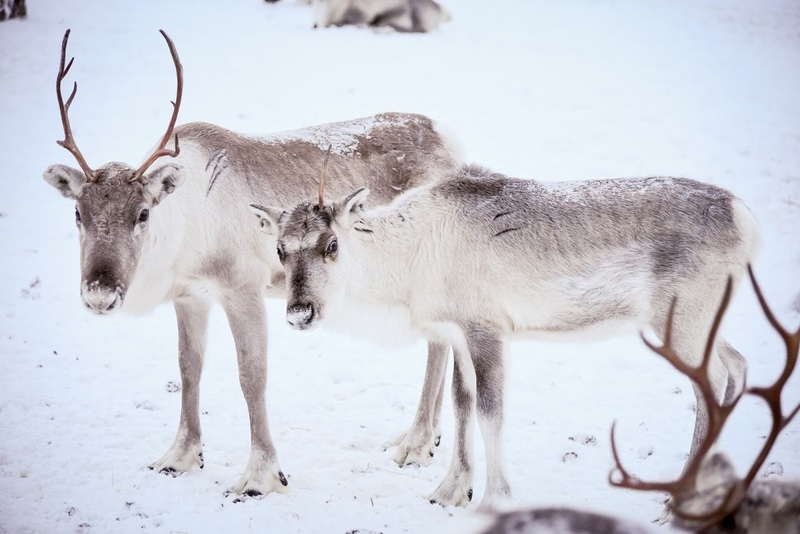 There are over 200 000 reindeer in Finland and each one of them has an owner. Somewhere. 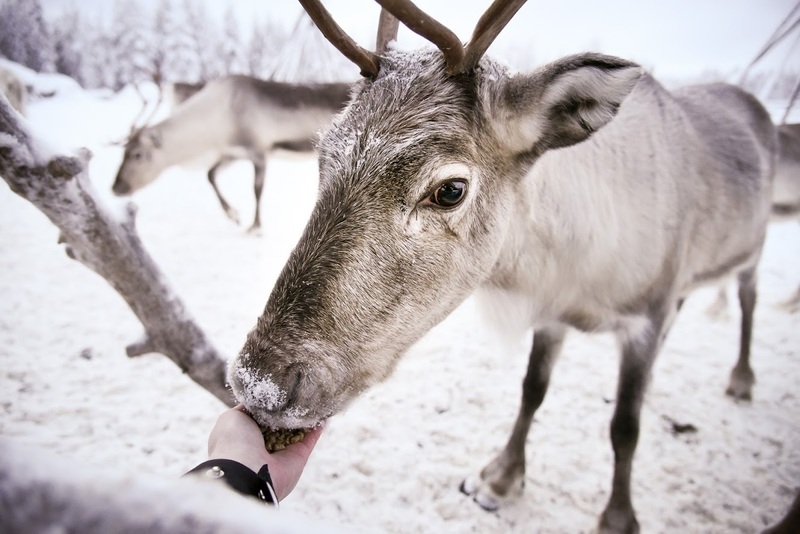 In reindeer parks the animals are much braver: they are used to getting some treats from reindeer-loving tourists. That’s why they actually come running towards you to see if you have something yummy to give them. In Kopara there is this big chest full of reindeer food in front of the fence. 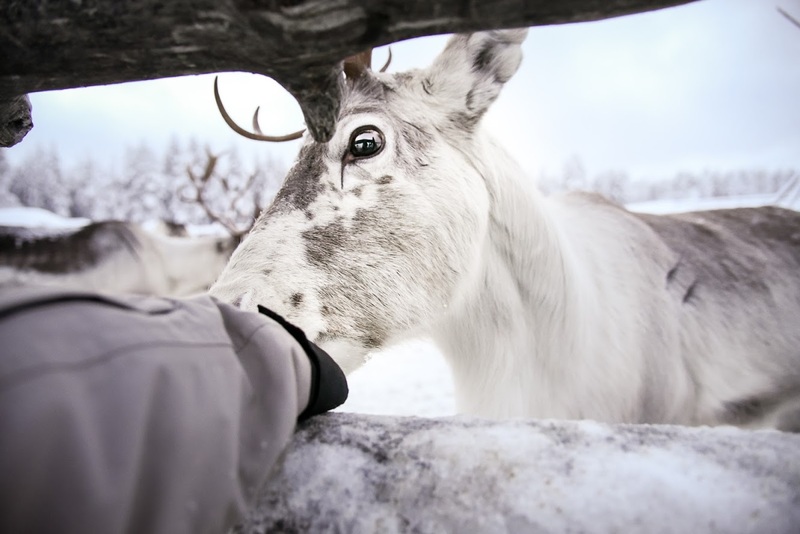 After having paid just a few euros you get to go there and feed the reindeer. Just take some food and hand it over to them. They won’t bite. 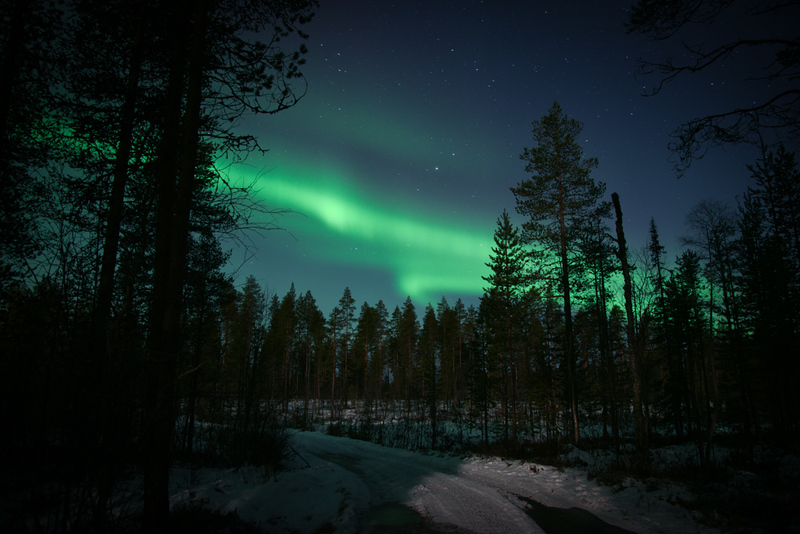 This place is right next to Pyhä-Luosto National Park. 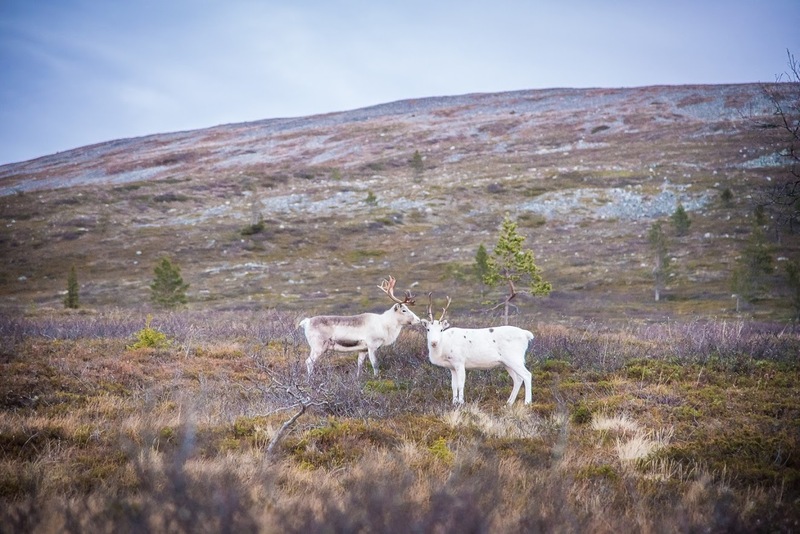 Learn more about Finnish reindeer here. First snow is always magical. 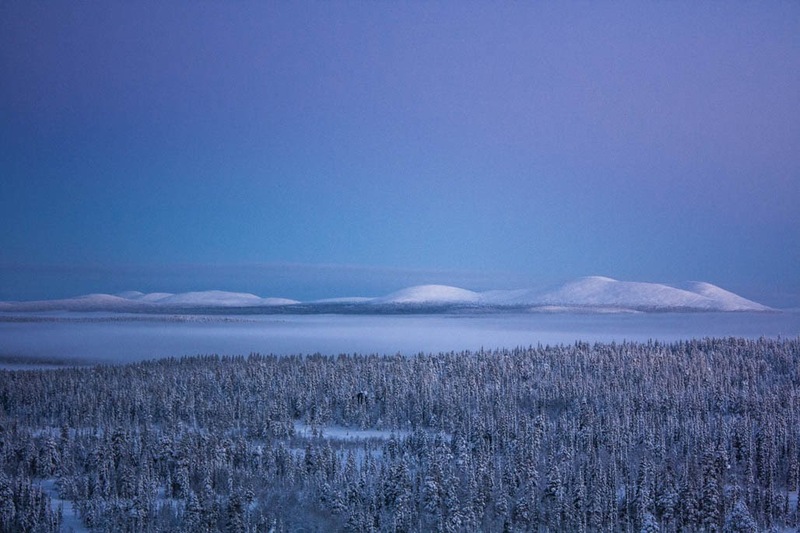 As polar night approaches, there is less and less sunlight every day. One day the sun no longer rises at all. But with only a pinch of snow the whole world gets bright again. 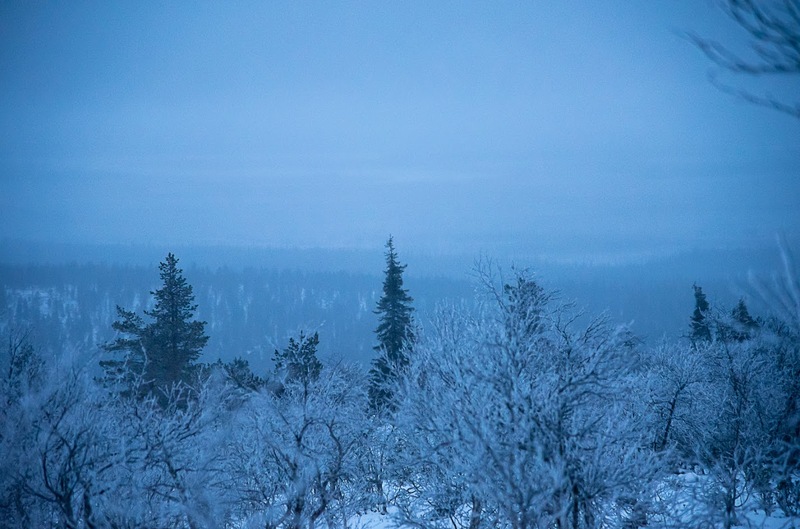 I went to see the first snow to the hills of Sodankylä. My friend came along with her lapponian herder puppy Ruska. It was a sunny day after weeks and weeks of cloudiness. 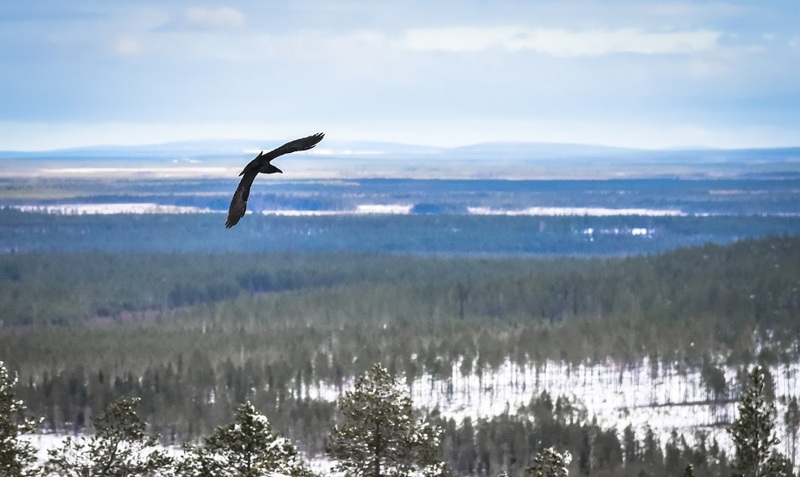 We climbed to the top of Pittiövaara hill to have a picnic. A raven came to say hello to us. What a beautiful bird. It was noon and the temperature was a few degrees below freezing. 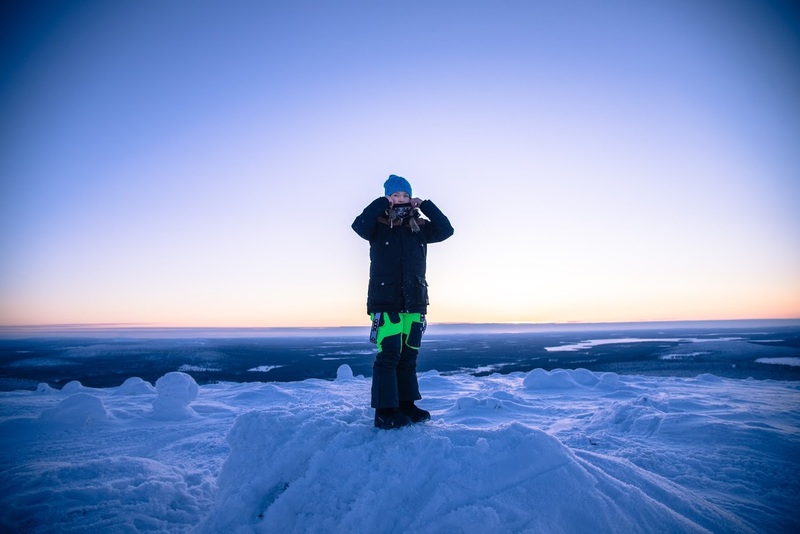 We were wearing lots of warm clothes and also proper hiking shoes – Pittiövaara is a rocky hill, and it is not easy to walk safely on big snowy rocks. Some parts were too challenging for the puppy. Luckily she still fits in a backpack. We chose a sunny spot to stop and have a coffee. It was a little gorge on the top of the hill, so the rocks gave us shelter from the cold wind. It was spectacular. 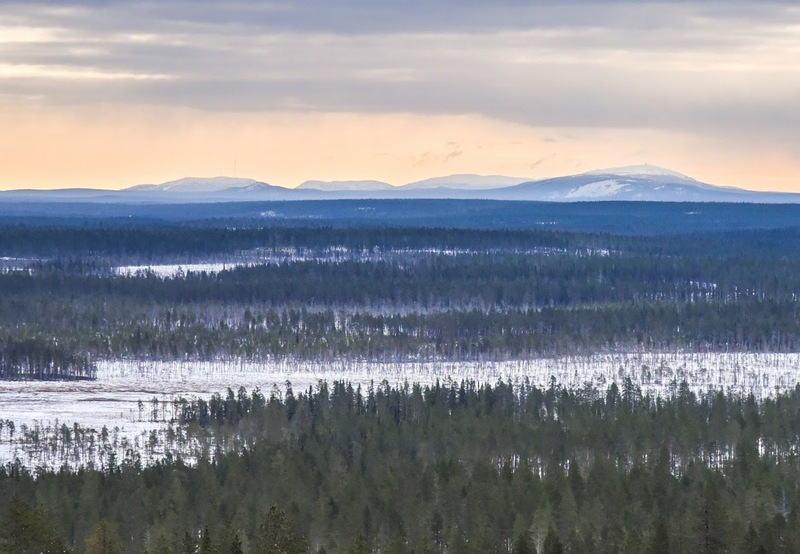 In the horizon we could see the silhouettes of Pyhätunturi and Luosto – the Pyhä-Luosto national park. The trip took us a few hours. 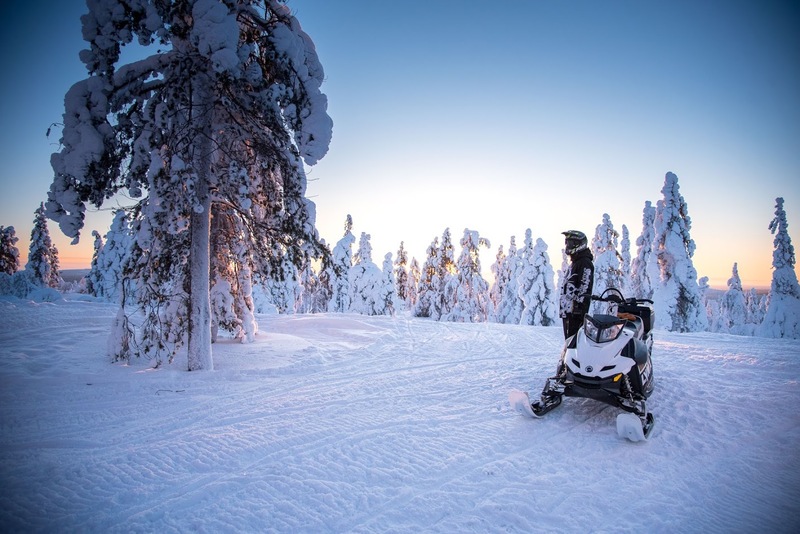 I can not imagine a better way to spend a sunny Sunday in Lapland. I’m so happy it’s snowy again. Welcome winter! 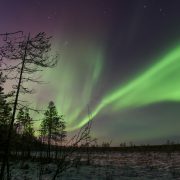 This is one of the most magical national parks in Europe! This is what Daily Mail just publicly declared, and we totally agree. 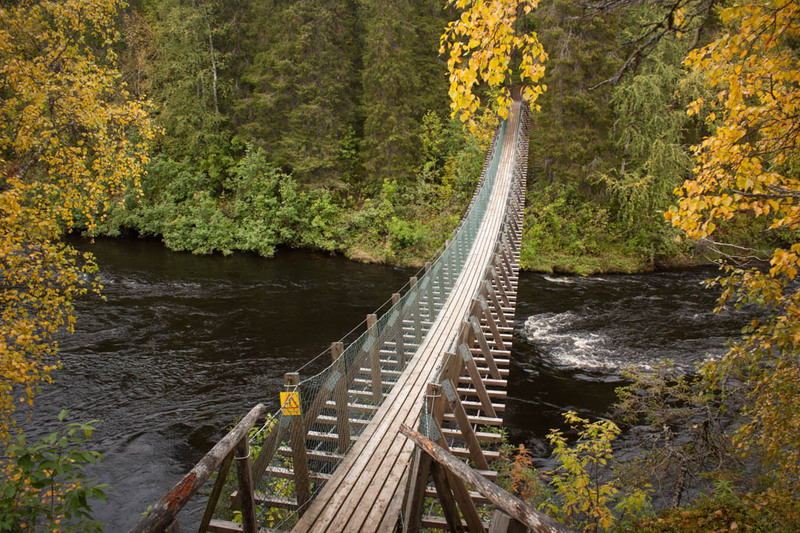 Oulanka National Park is known for its rapids, steep gorges, suspension bridges, and rare plants. 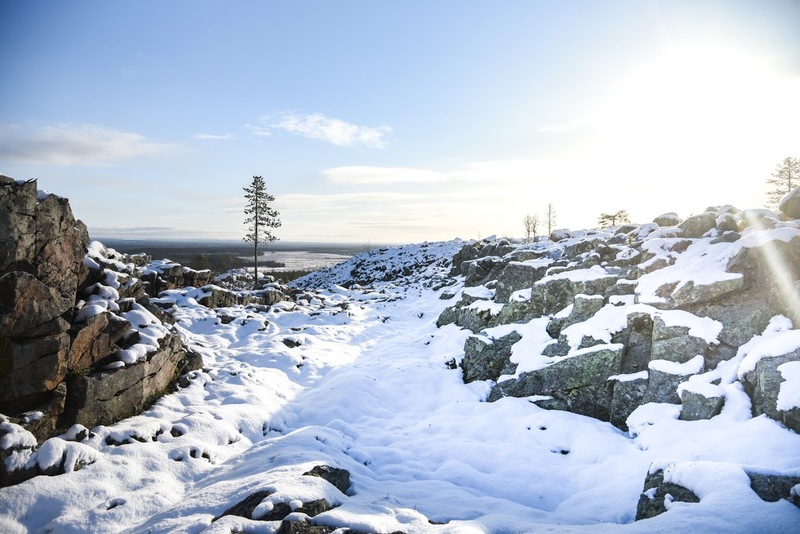 The comprehensive and clearly marked selection of trails within the Park provides even a budding hiker with a safe way to enjoy the magnificent scenery of a real wilderness and the “almost” Siberian vibe to it. 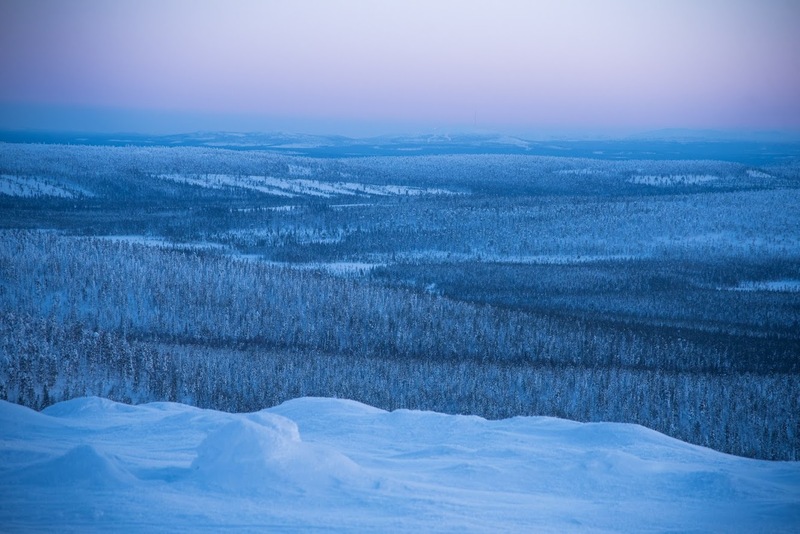 The Park is located in northern Finland, and it borders with Russia in the east. 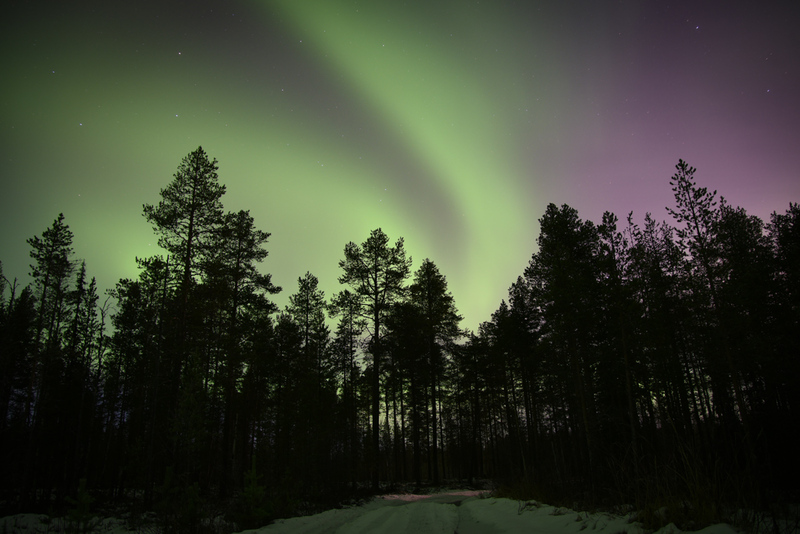 Here are five great places you simply must not miss in Oulanka National Park! Be careful! 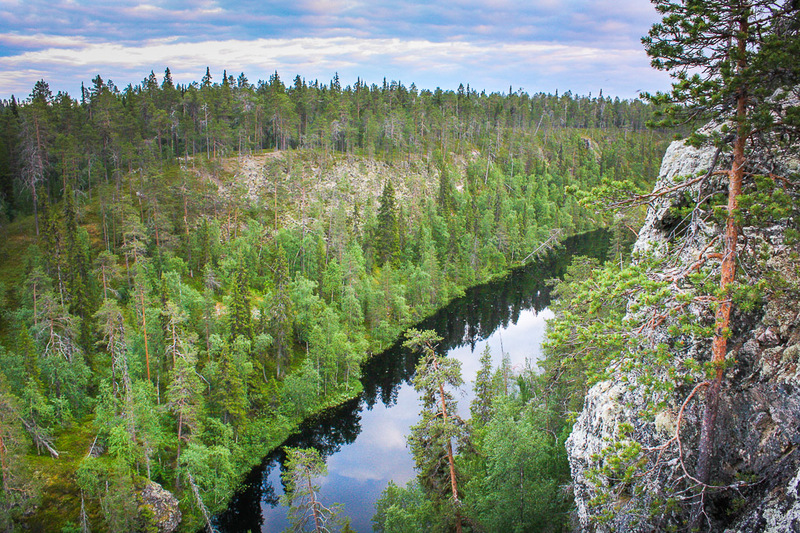 As you step on the edge of Oulanka Canyon, you’re in for a real surprise. 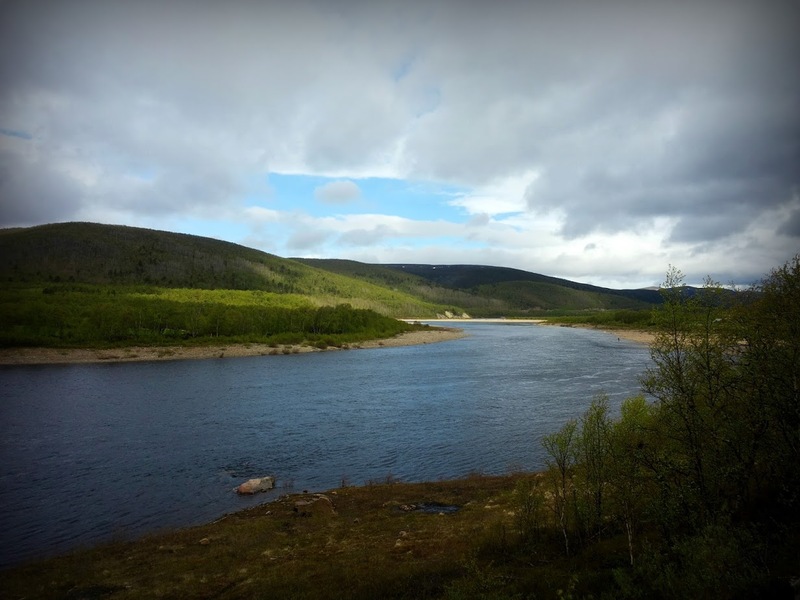 You walk through a beautiful Lapland forest to discover that land literally rips up before you: the free fall down the Canyon is long, and at the bottom there is a roaring river. However, you do not have to be an action hero to get to see this startling place. 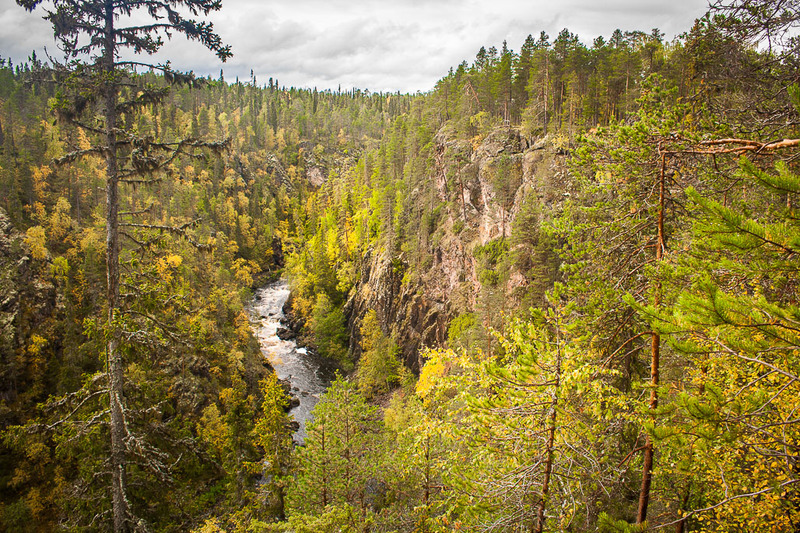 The 6-kilometre-long Kanjonin kurkkaus (Oulanka Canyon Trail) is accessible and clearly marked – follow it, and you will safely get to admire the immemorial giant gorge. 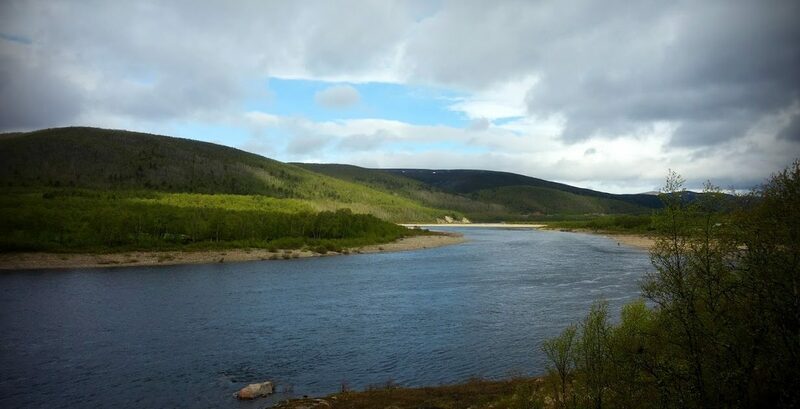 Do you enjoy the atmosphere of the wild and the roar of rapids? 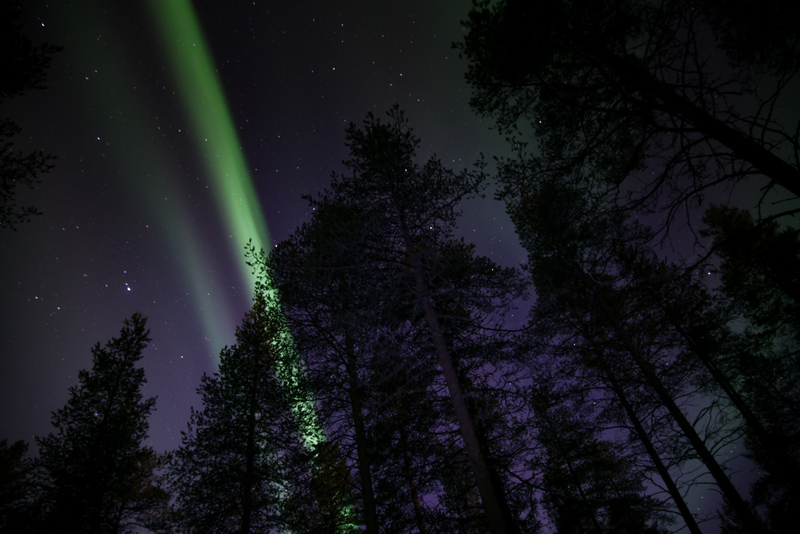 If so, then Taivalköngäs is the right place for you! Its lovely wooden suspension bridges provide you with the chance to admire and listen to the rabid turmoil of the water right from above. 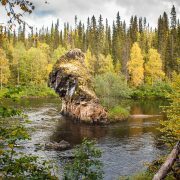 There is a small island in the middle of Taivasköngäs that with its tall trees and tentacle-like roots looks like a magical forest. 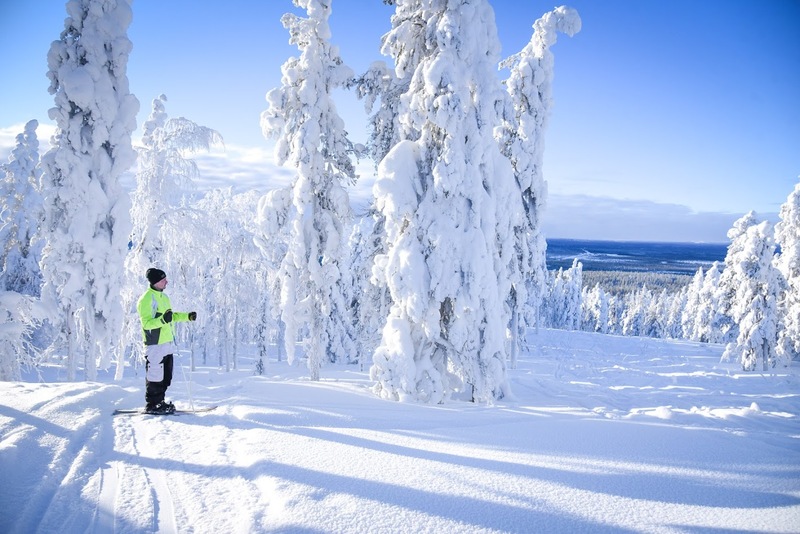 The marked forest trail leading to Taivalköngäs is almost 10 kilometres long. 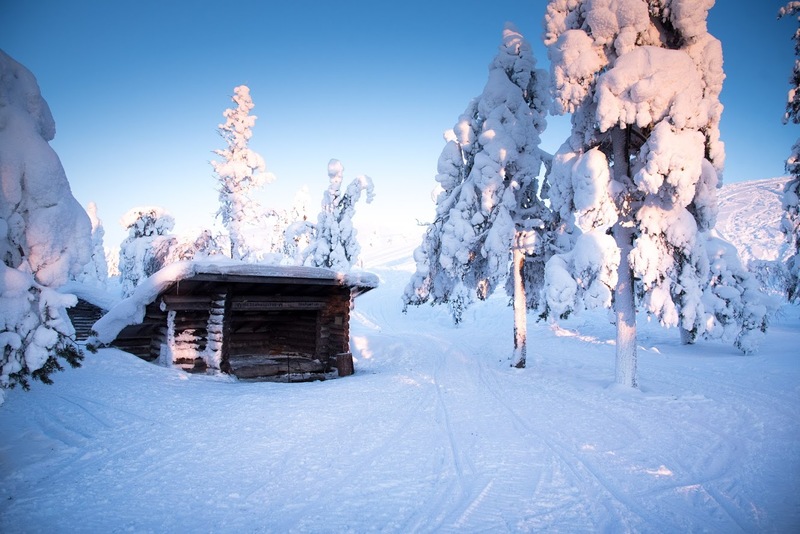 Once arrived, it is possible to make a fire and stay overnight in a wilderness hut managed by Finland’s State Forest Enterprise. 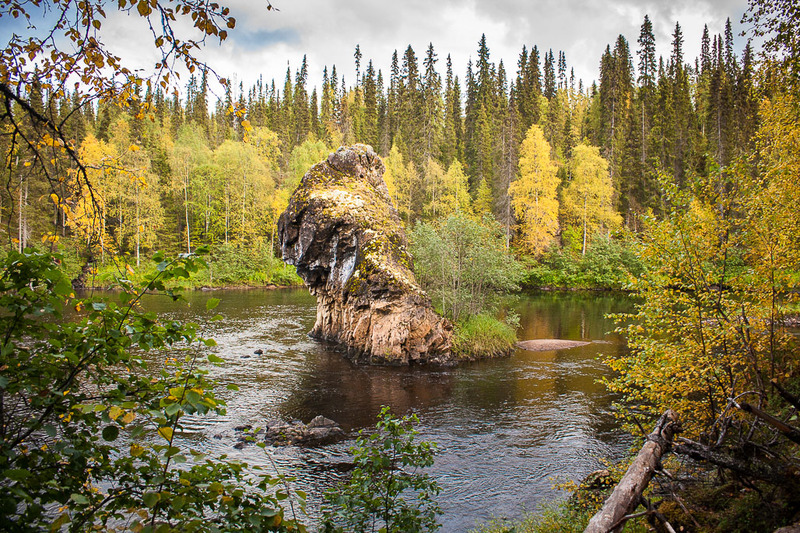 the unique forest nature of Oulanka National Park. 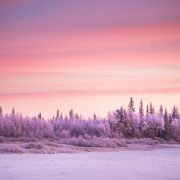 Pay attention to even the smallest forest flowers and plants – if you look up close, you can see the delicate beauty of the north. 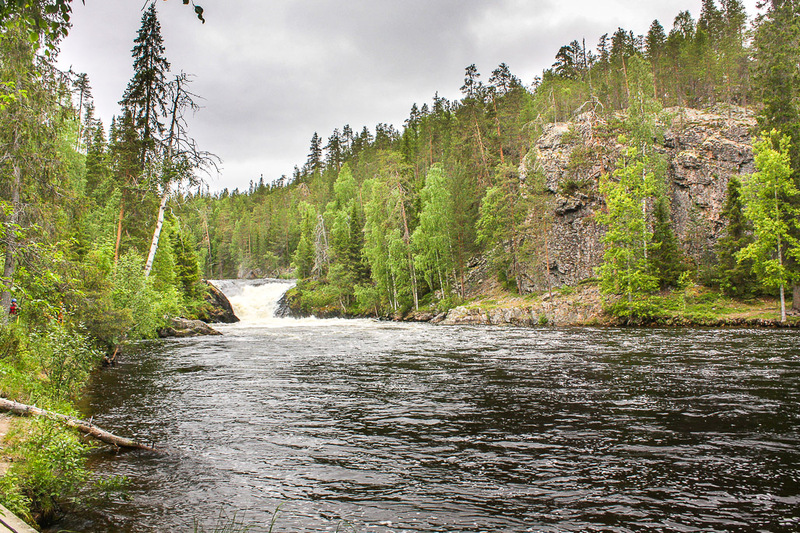 The powerful buzz of Jyrävänkoski Rapid can be heard far away. The sound dominates the whole landscape. With free falls up to 9 metres, Jyrävä is one of Finland’s tallest waterfalls. 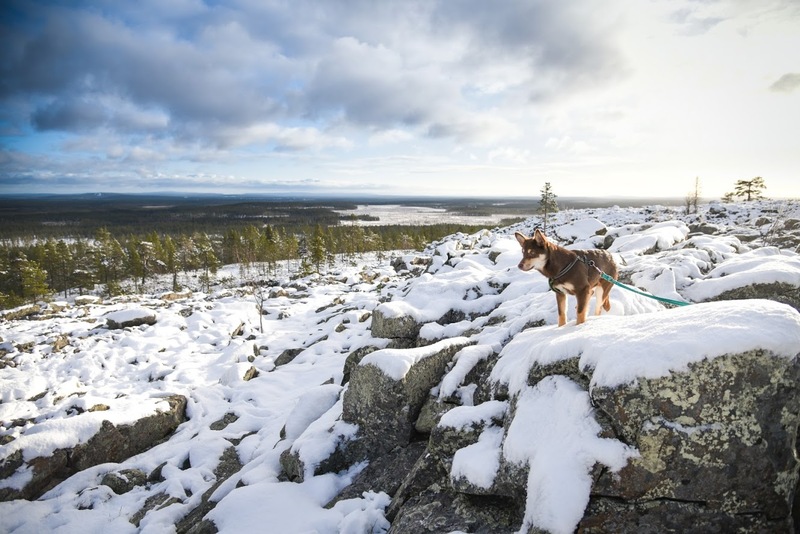 A trail named Pieni Karhunkierros, with a total length of 12 kilometres, leads up to the waterfall. Along the trail you will also get to admire other graceful rapids, enjoy beautiful forests, and cross suspension bridges. Along the way, there are also a number of campfire places. stone pillar, nature’s own skyscraper in the middle of the stream. A white sandy beach spreads out at the feet of the rock whose top is dotted with small growing trees. 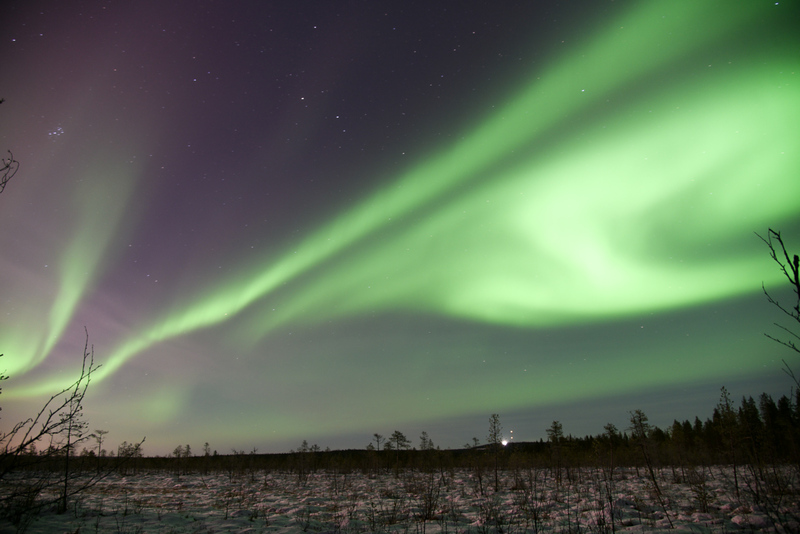 Rupakivi is the kind of place you could easily think of as the home of a fairy! A marked path leads to the rock that is best seen from the steep stairs. You cannot get close to the rock but the view is fantastic from the riverbank, as well. 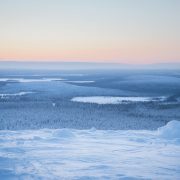 +1: Remember this when you arrive in Oulanka! 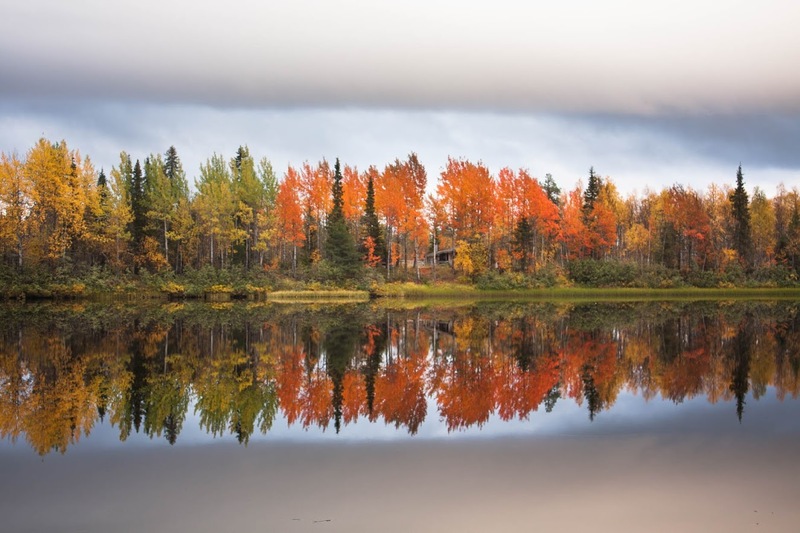 The best time to visit is the time of autumn foliage when nature glows and there are less mosquitoes. 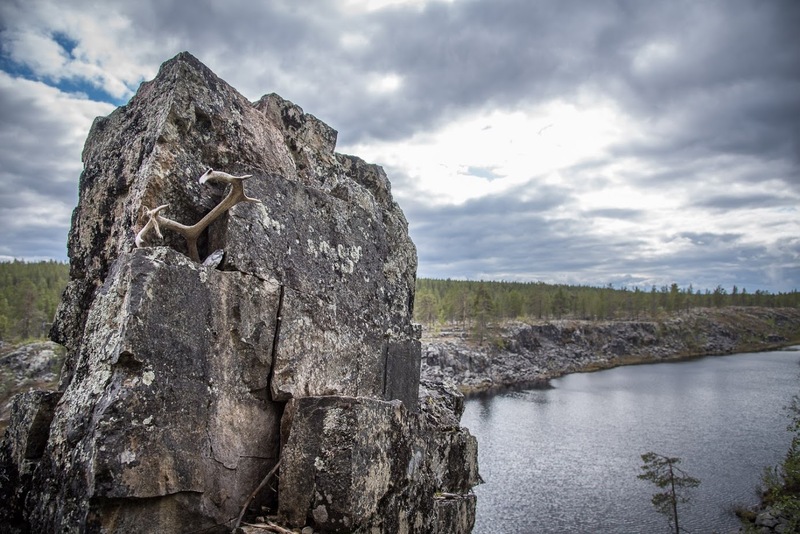 Oulanka National Park has several well marked trails, and leaving them is not a good idea. 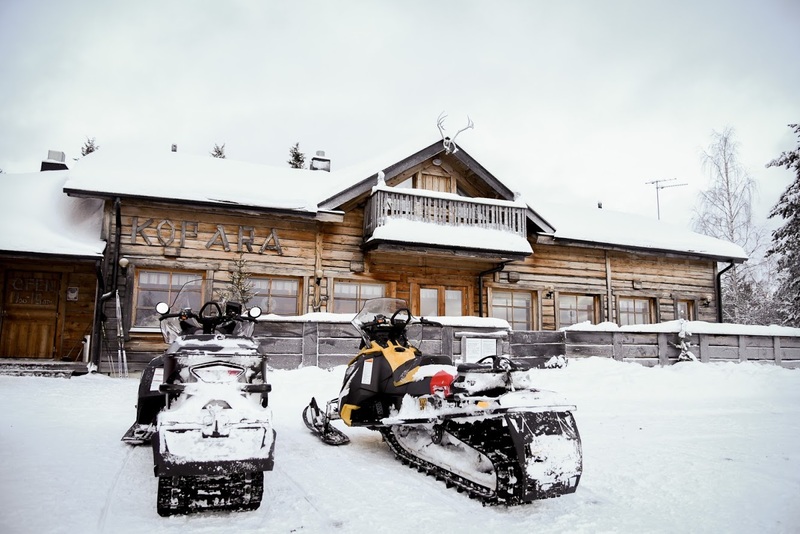 Oulanka is a wilderness area where nature dictates the rules. Always prepare your hike carefully. Mobile phone coverage may not always be possible along the path. 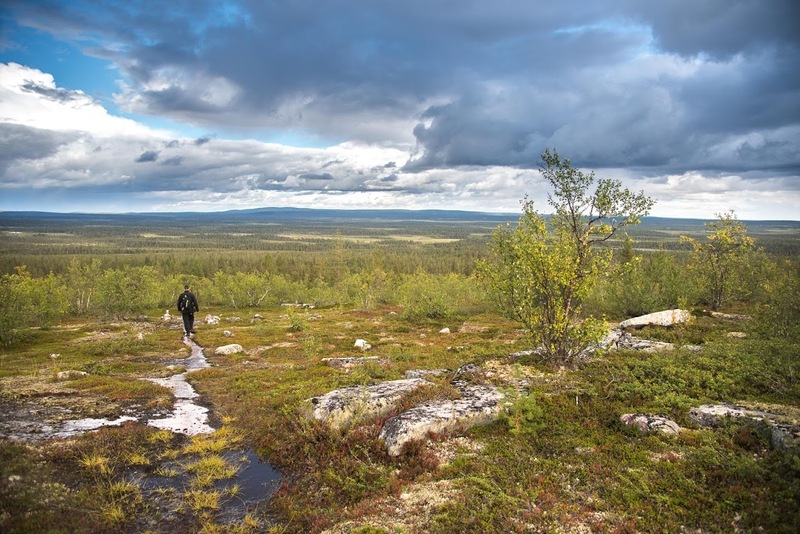 You should always carry a map with you, and please do not overestimate your physical condition – the Park’s rugged reliefs require a good level of fitness. In summer, please remember to protect yourself from mosquitoes. 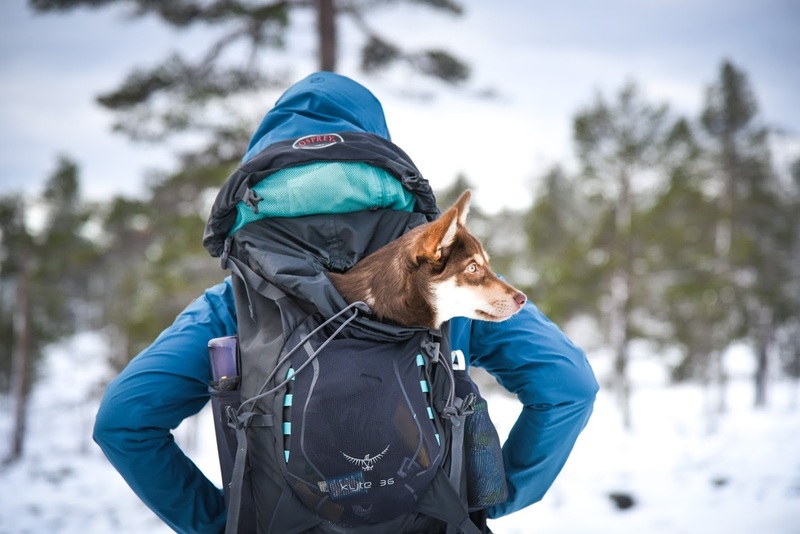 Valuable advice, instructions and tips for successful hikes are available at Oulanka Visitor Centre. Here’s more information in English! The temperature dropped in a matter of days. First it was -5 degrees celsius, then -12, then -18*. 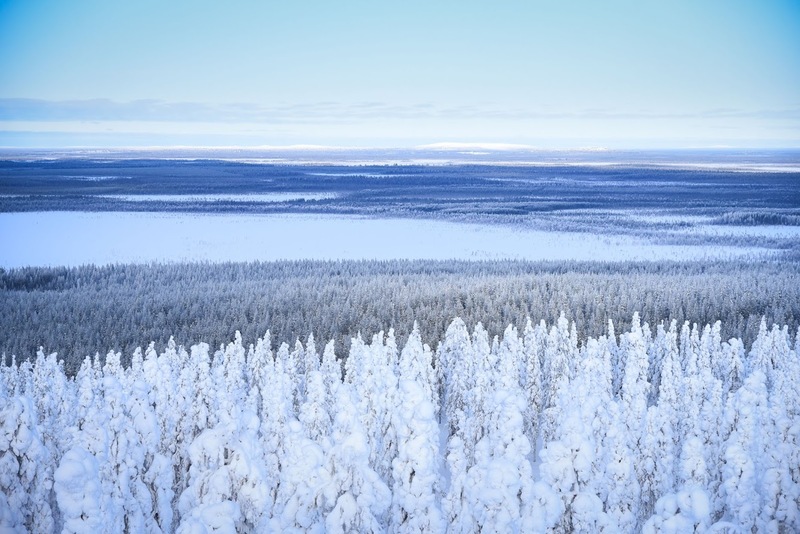 Although it has snowed next to none so far, we can say that winter has taken over the vast commune of Kittilä in western Lapland. 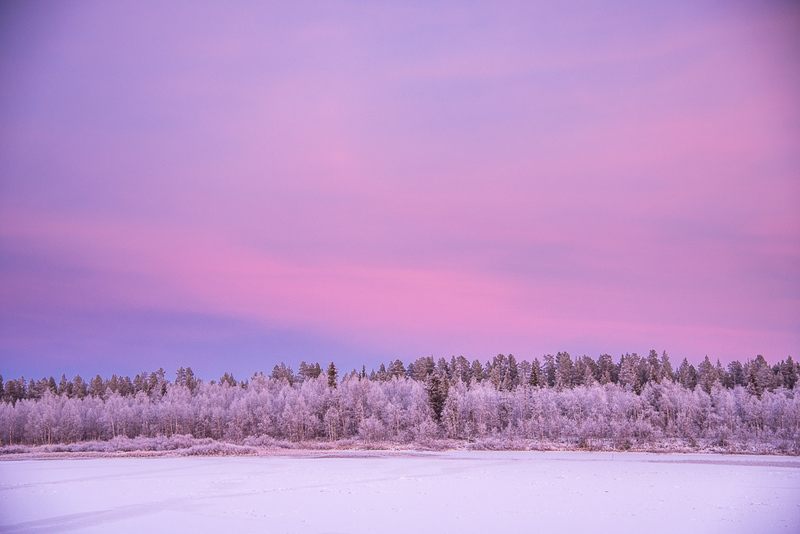 The river Ounasjoki froze overnight. Everything froze. Now you can hear what total silence sounds like. 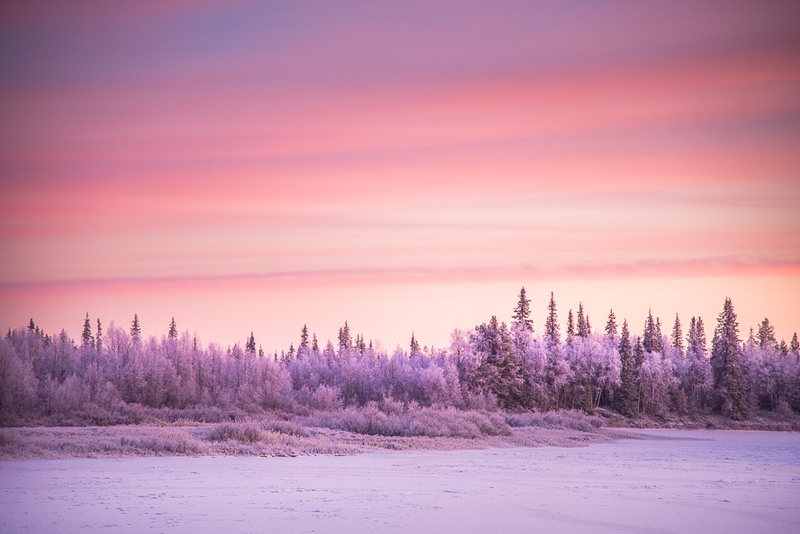 When it’s really cold, the eastern sky turns pink during the sunset. 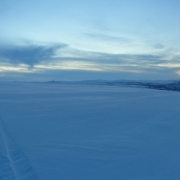 Until of course the sun no longer rises and the polar night begins in a few weeks. Even during the coldest of winter days one might get some visitors. Can you guess who’s there, behind all that snow?